Leave the hustle and bustle of everyday life behind and experience a simpler way of living with the Amish Experience Theater & Country Homestead Combo Tour! 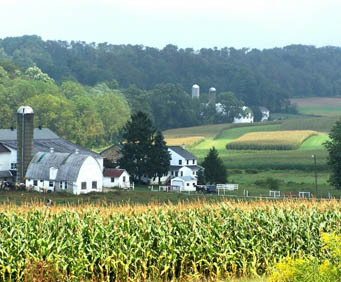 Lancaster, Pennsylvania has become known for the Amish settlements that make up what is called Amish Country and anyone who visits here realizes that there certainly is something special about it. The Amish Experience is the county's largest touring center, and offers visitors a glimpse into a simpler life. 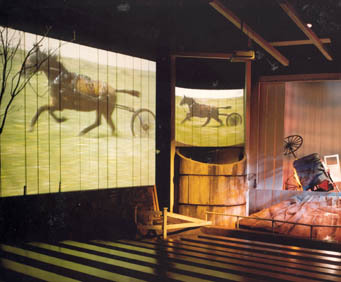 The Amish Experience has several things to do and see, but two of the main attractions are the Homestead Tour and the F/X Theater. At the F/X Theater, you are surrounded by amazing sound, five screens, lighting and special effects: it is one of only three theaters like it in North America. 'Jacob's Choice,' the currently running show at the F/X Theater, is a story about an Old Order Amish family and their lives & struggles. Then, you can take the Homestead Tour, which takes you into the home of the family you met during 'Jacob's Choice.' The home is a Lancaster County Heritage Site, and as you tour it you can learn about the day-to-day lives of an Amish family. 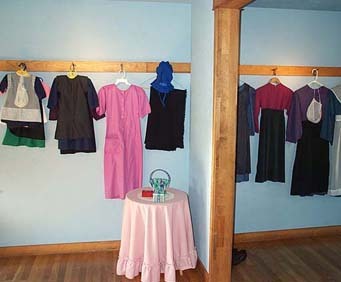 Maybe you will learn a few ways to simplify your own life and achieve the relaxed and disciplined lifestyle of the Amish. At the homestead, you’ll learn about the traditions of Amish folk, including common practices and their simple way of life. You’ll also get to see the One-Room School house where authentic desks will give you a feel for what learning is like when grades 1-8 are taught together in one room. Ask your guide anything you’ve been wondering about the Amish lifestyle during this unique learning experience. This is an official Lancaster County Heritage site and is sure to delight each member of the family. As the experience draws to a close, families walk away with a new appreciation for life and one or two ways to incorporate slower paced activities into busy days. Looks like, and feels like, a tourist trap and it does have all the requirements. Large gift shop, crowded restaurant, etc. But, the film and tour of the house and school are both informative and well done. If you want to know more about the amish, this would be the place.